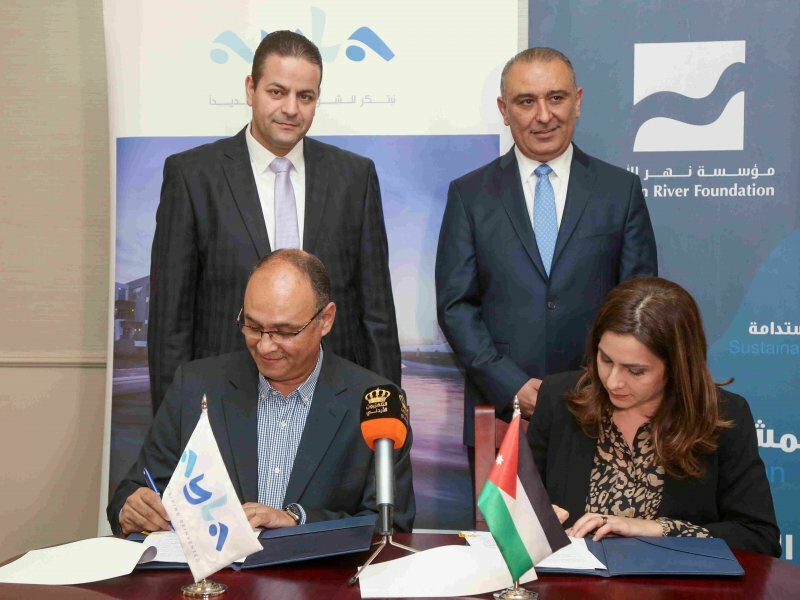 MAFRAQ - The Jordan River Foundation (JRF) has concluded the implementation of the “Community Empowerment Initiative in Mafraq” in partnership with local organizations across the governorate. Funded by the Regional Development and Protection Program for the Middle East (RDPP), the initiative was launched to improve the livelihoods of Jordanians and Syrian refugees; launching income-generating micro businesses, and securing sustainable jobs for unemployed beneficiaries in Mafraq. The initiative included training in capacity building, economic empowerment, and local community mobilization. 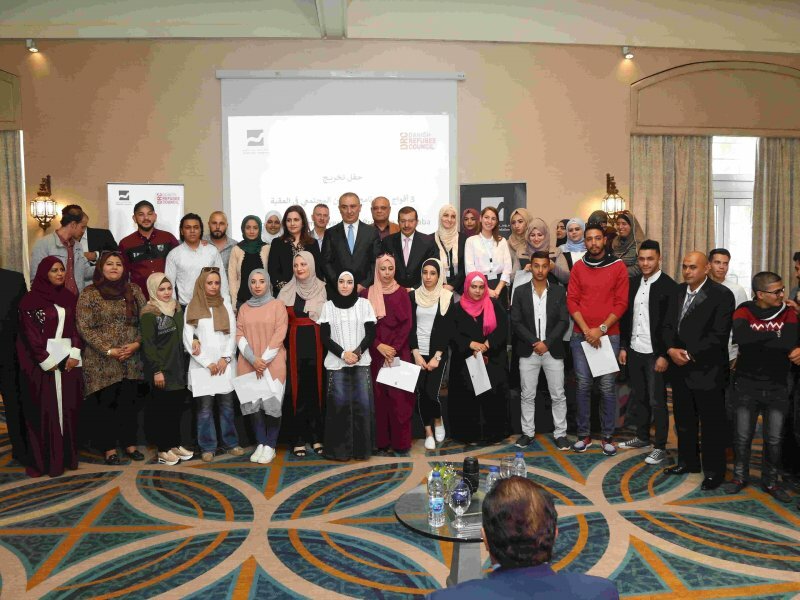 Since its launch last year, JRF has trained 334 Jordanian and Syrian beneficiaries to help them establish micro-businesses, as well as leverage their entrepreneurship and employability skills. JRF has also implemented 169 micro-projects, trained 35 mentors in recruitment and project management skills, created 94 sustainable job opportunities, and enhanced the institutional development capacity of 10 community-based organizations across the governorate. Waseem Al Smadi, a Syrian refugee residing in Mafraq, is a plastering expert who never had the opportunity to work legally before. Following several training sessions offered through the initiative, Waseem was able to secure a sustainable source of income for his family by becoming a legal worker. His experience training with JRF has enabled him to strengthen his ties with the local residents of Mafraq. Local beneficiary Nader Obeidat founded a greenhouse to produce a variety of vegetables and herbs for the local market in Mafraq. Despite losing all his produce to a fire incident, he managed to rebuild his business and increase his reach and profit across the governorate. "Empowering youth, women and refugees not only leverages their entrepreneurial potential, it also creates sustainable employment opportunities within an environment that nourishes social and economic stability," noted JRF’s Training Consultancy & Programs Division Director Dr. Mohammad Hourani. 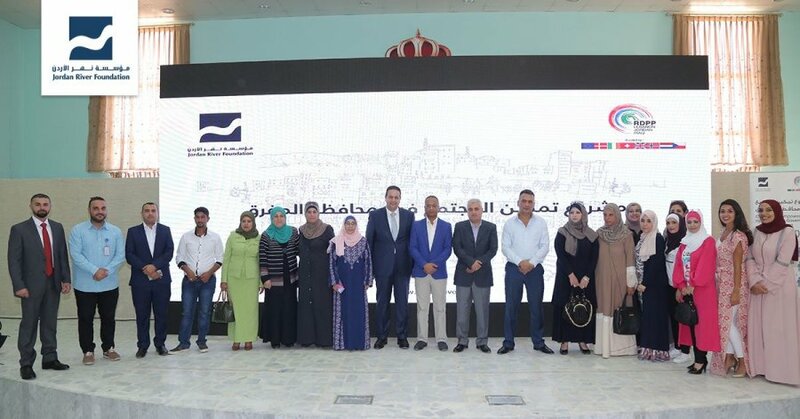 During the closing ceremony, Hourani praised the efforts of the RDPP and local partners for successfully implementing the initiative in Mafraq in partnership with JRF, as well as the entrepreneurial achievements of the beneficiaries. The event featured a bazaar showcasing the projects of 45 micro entrepreneurs, which included homemade food products, handicrafts, and embroidery.